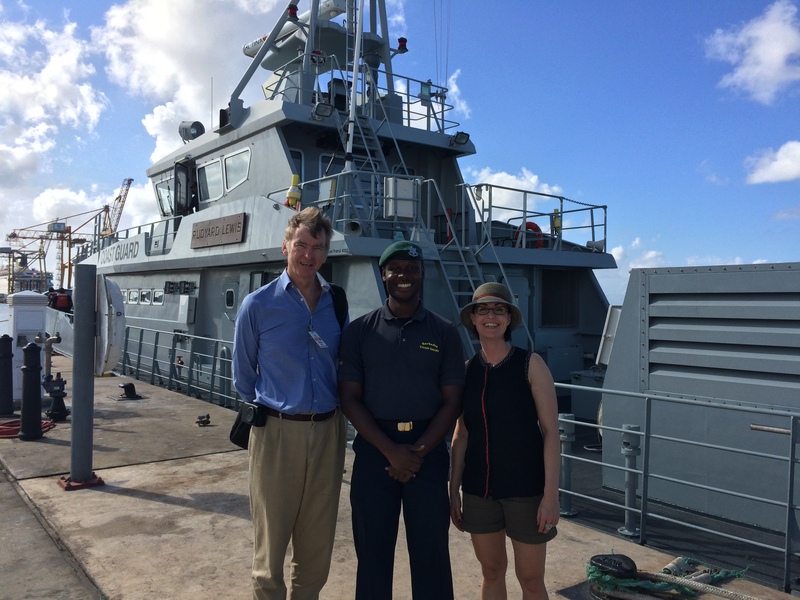 The IALA World-Wide Academy recently conducted a technical mission to Barbados aimed at assessing the status of aids to navigation service delivery along the coasts of Barbados. The Academy provided a number of recommendations to the Ministry of Tourism and International Transport, which is responsible for aids to navigation in Barbados. Mrs. Gerardine Delanoye, Programme Manager and Mr. Stephen Bennett, Vice-Dean of the IALA World-Wide Academy conducted the mission in December 2016. A number of important observations were made, and some improvement opportunities were identified including proposals for new and improved aids to navigation. The detailed findings of such missions are kept confidential for as long as the government visited wishes, but the missions are designed to identify and report on any gaps between the coastal state obligations as defined in SOLAS and what is actually being delivered. Following this mission, the government of Barbados is now well equipped to prepare for the upcoming IMO Member State Audit scheduled to take place sometime after 2017. The planning and execution of the administration of the IALA mission by the government of Barbados was faultless. Mrs Delanoye and Mr. Bennett could not have been better looked after. The enthusiasm of all people involved was highly appreciated therefor the IALA World-Wide Academy stands ready to facilitate the next stages of marine aids to navigation development in Barbados, in whatever way it can.